Good morning and happy Friday! Today, I have a card to share with you using a couple of the NEW releases from The Stamp Simply Ribbon Store Farmhouse Signage Collection. I love the decorating style and all of the home decor with the Farmhouse style so I was really excited to see this collection. This style always seems so fresh and clean to me with a very slight vintage feel at times. 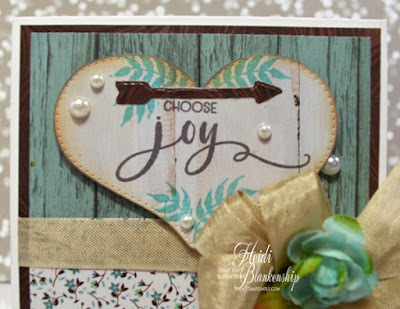 Here is the card I designed using the Stamp Simply Clear Stamps - Farmhouse Simple Sentiments SS-024 and Farmhouse Signage SS-027. The sentiments are fantastic in the new sets and I love the font. 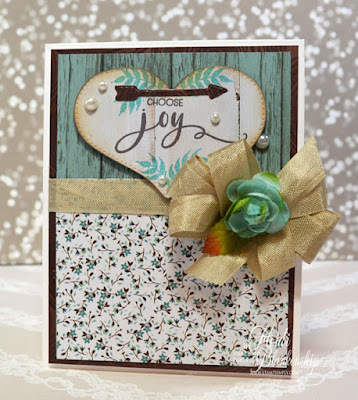 I used a few different sheets of pattern paper from the Kaisercraft - Sea Breeze collection. I used a piece of the paper that has the look of white washed boards to stamp the sentiment on. To make sure I had perfect placement I used the Tim Holtz Stamp Platform to stamp the sentiment. I used Espresso Truffle ink. I used the largest heart die from the Farmhouse Pierced Nested Hearts SS-DIE013 die set to cut the heart shape. 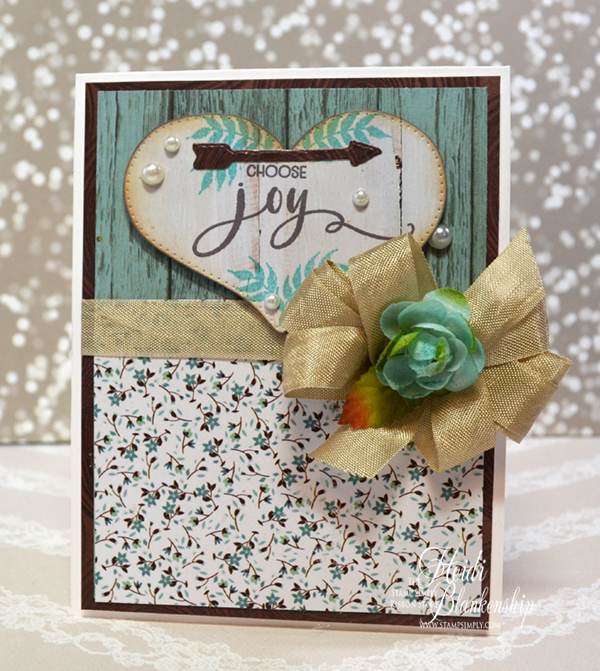 Then I stamped the little leafy twigs using Altenew Sea Shore (4 pack) - Lagoon ink. To finish off the heart I inked the outer edges with Tim Holtz Distress Oxide Ink - Vintage Photo. 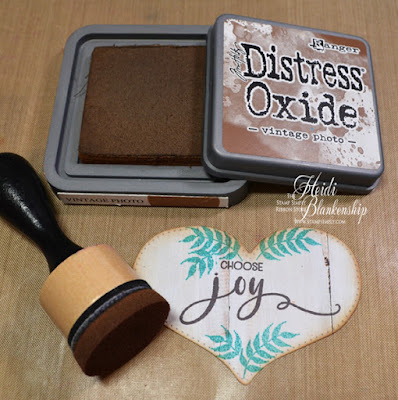 To get the nice smooth blend I used one of the Mini Ink Blending Tools and the Craft Mat . Here is a look at how I laid out the pattern papers for the card front. 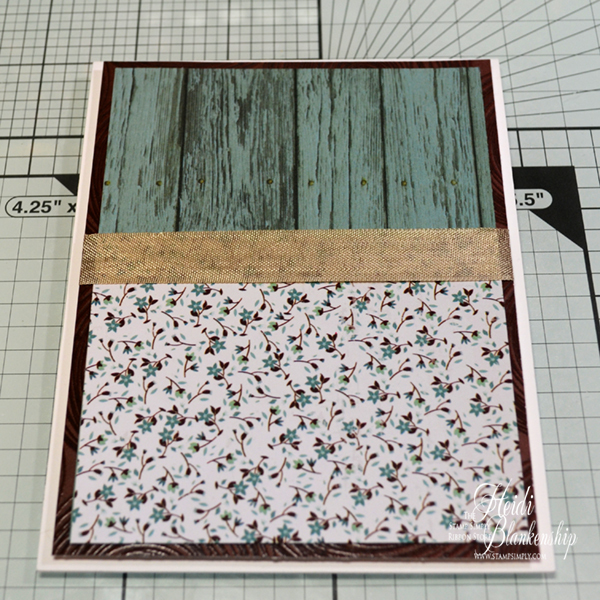 I also added some fig beige seam binding around the middle of the card. Here is a close up of the heart and sentiment. 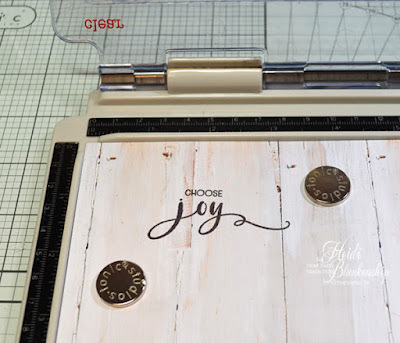 I also used a piece of the pattern paper and one of the dies from the Farmhouse Signage SS-DIE012 set to die cut the arrow and added it above the sentiment. I added a few Melissa Frances White Pearls for embellishments. Here is a close up of the bow and I added one of the Petaloo Botanica Collection Teal Minis to the center of the bow. Here is another look at the finished card. I used a white A2 top folding card base. Thanks so much for stopping by today! I hope you enjoyed the card share. 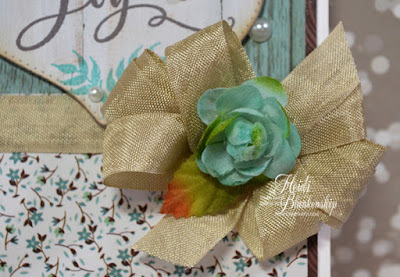 All of the supplies to create the card are listed and linked below and can be found at The Stamp Simply Ribbon Store. 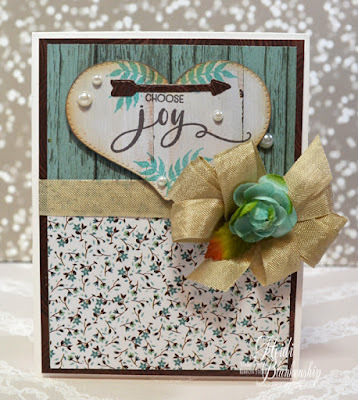 If you would like to see more card inspiration using the New releases I encourage you to check out the Stamp Simply Blog. Such a pretty card Heidi, very nicely done.